Dr. Erlandson was exposed to the benefits of Chiropractic care as a young athlete many times. Chiropractic care not only provided pain relief, but also allowed him to continue to participate in the activities he loved and maintain his quality of life. It was these experiences that motivated Dr. Erlandson to become a Chiropractic care provider himself and be able to pay it forward. 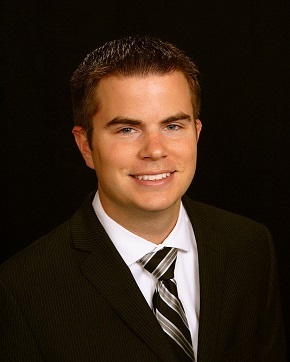 Dr. Erlandson attended Northwestern Health Sciences University and received his Doctor of Chiropractic degree in 2012. He also participated in internships at the Natural Care Center in the Woodwinds hospital where he learned the importance of a “multidisciplinary approach” to healing. The chiropractic field is constantly changing and methods are improving daily. Dr. Erlandson is dedicated to furthering his education and promises to provide the best techniques and most knowledgeable service to his patients. As an example of this dedication, Dr. Erlandson is currently working on his sports physician’s certification (http://acbsp.com/node/14). Dr. Erlandson is also an Adjunct Clinical Faculty Member at his alma mater, Northwestern Health Sciences University and was accepted into the University’s Clinical Intern Program in September of 2015. These opportunities allow Dr. Erlandson to stay current as well as share his passion for Chiropractic care with new students in the academic environment. *Dr. Erlandson is also a member of the Minnesota Chiropractic Association (http://www.mnchiro.com). Currently, Dr. Erlandson resides in his hometown of White Bear Lake with his wife Katherine. He enjoys spending time with his four sisters, brother and their children, and is also passionate about the outdoors, the state of Minnesota and Wild hockey!